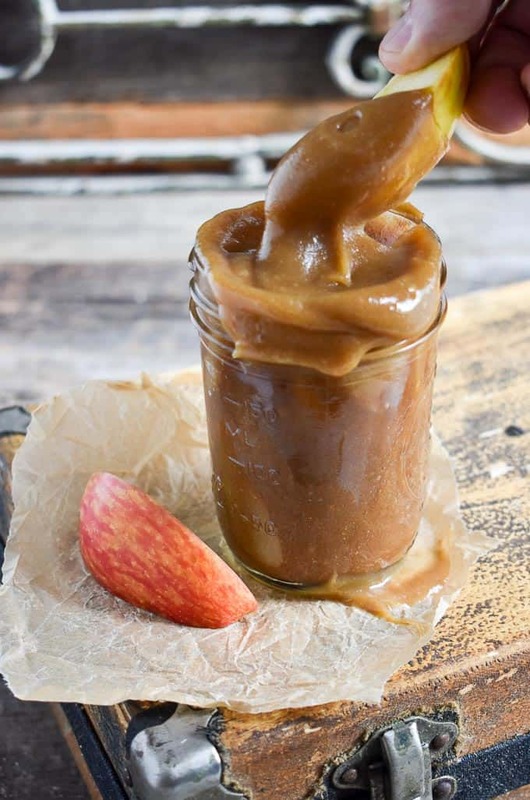 Delicious Easy Vegan Date Caramel recipe requiring only 3 ingredients. Perfect as a dip with fruit, pretzels or other healthy snacks. Vegan, gluten-free, and fat-free. Ladies and gentlemen. 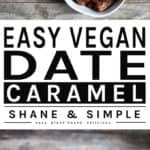 It’s Easy Vegan Date Caramel! 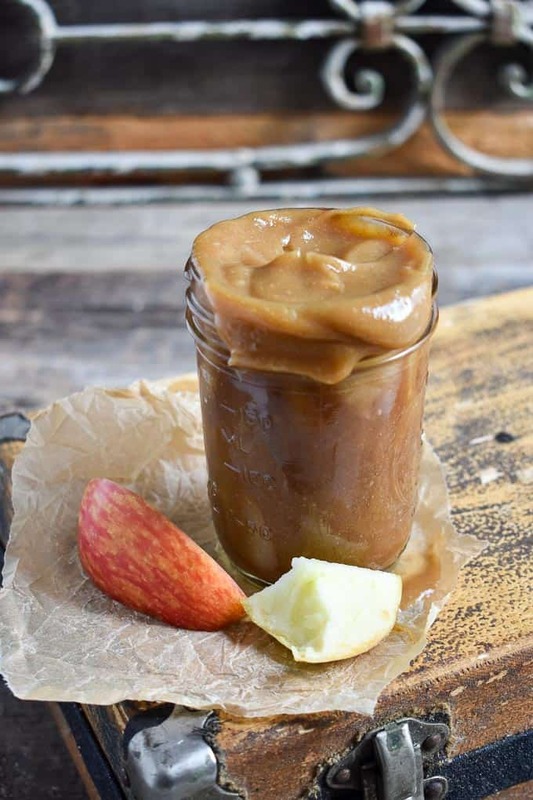 The perfect snack when you want a little something sweet or a quick energy boost. And, the best part? You only need 3 ingredients and less than 10 minutes of your time. Let’s saddle up and ride! I can not believe I haven’t shared this recipe with all of you. I sincerely apologize. We’ve been making this for a while and it’s a family favorite. Sometimes I forget it’s the little things that brighten someone’s day. 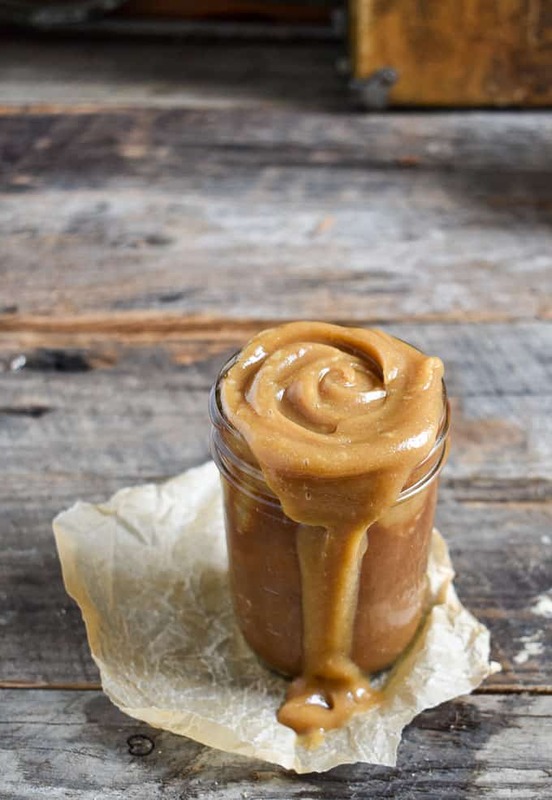 And, this Easy Vegan Date Caramel is like a freaking jolt of sunshine. Dates are the base for this heavenly decadence. 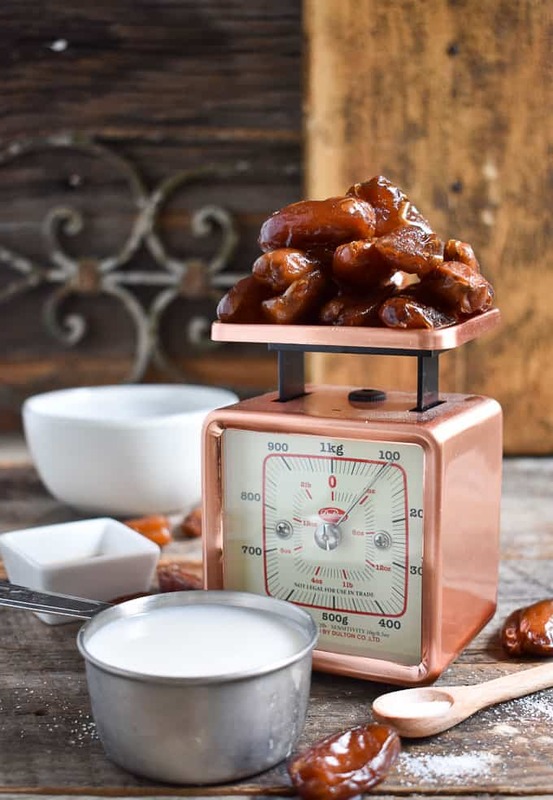 They are high in calories because they are a dried fruit, but dates are also super healthy. Several vitamins and minerals are found in dates, in addition to fiber. 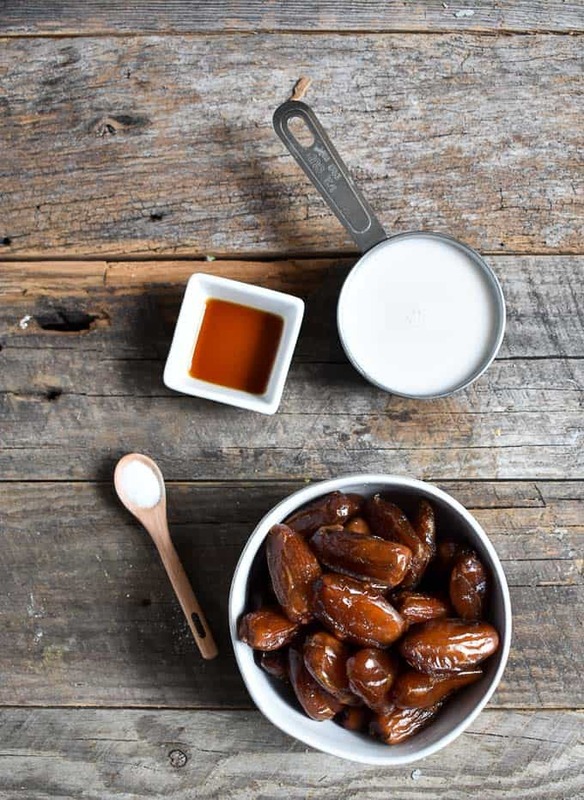 Dates also contain several different types of antioxidants which means they help prevent the development of certain chronic illnesses, like heart disease, cancer, Alzheimer’s and diabetes. Besides dates, there are only two other ingredients you need for this recipe: almond milk and vanilla. I do add about 1/4 teaspoon of salt to mine, but that is totally optional. Now, just toss everything in your Vitamix and blend until everything is silky smooth. If you don’t have a Vitamix or high-powered blender, soak your dates in warm water for about 15 minutes. It makes the blending much easier. 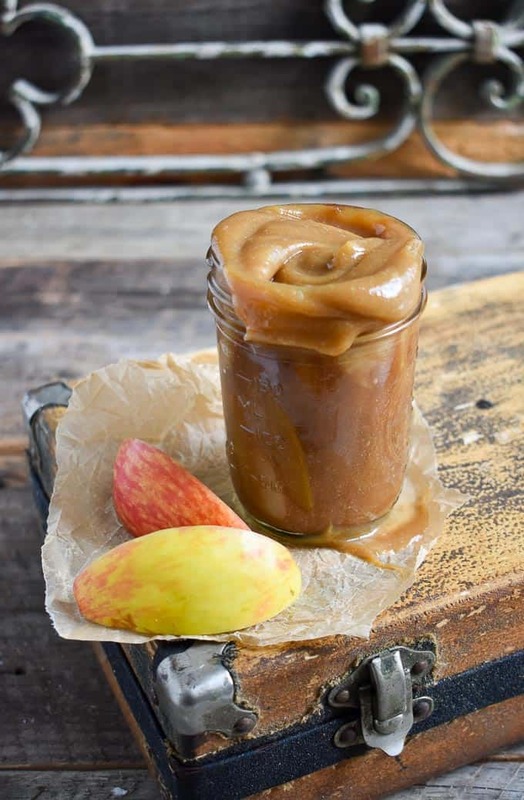 This recipe is sure to bring out the kid in you. It reminds me of eating caramel apples at the county fair minus the fat and cholesterol. For other “blender” recipes and desserts, check out my: Amazing Vegan Chocolate Pudding, Chocolate Peanut Butter Hummus, Easy Vegan Tofu Sour Cream, & Easy Vegan Tofu Ricotta. They’re pretty fantastic and delicious. This Easy Vegan Date Caramel is also great for breakfast. It’s a great topping and sauce on my Amazing Belgian Waffles. Did you make this recipe? Let me know! Be sure and leave a comment below with a STAR rating. And, share a picture by tagging me on Instagram and use the hashtag #shaneandsimple. I want to see your work. Enjoy! 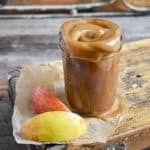 Quick, easy, and delicious easy vegan date caramel recipe. Perfect as a dip with fruit or other healthy snacks. Vegan and gluten-free. Place all ingredients into high speed blender. Process until mixture is smooth and creamy. Stop and scrape down sides as necessary. Blend until no date chunks are left. If mixture is too thick, add a little more almond milk. Store leftovers, not that there will be any, in a glass jar or airtight container. Will keep in the fridge for a week. You want to use soft dates. If your dates are hard and dry, soak them in warm water for 20-30 minutes. Feel free to play around with the recipe until you get it just the way you want it. Absolutely amazing! I think I could eat the whole jar with a spoon. oh. my. goodness. how am I supposed to wait until next week when I shop again??? I have normal dried dates can I use those?? Should be fine. I would soak them for 10-15 minutes in warm water. May I substitute other plant milks? Allergy issues in my home. Thanks! I love your recipes. I use a lot of dates as a sweetener and just found this out myself & thought I would share. Are Medjool dates fresh or dried? Medjool are a FRESH FRUIT. Most people think of they as a dried fruit because they’re thinking of the ones you buy in the baking aisle. Medjool dates are actually harvested from the date palm, cleaned, sorted and packaged right away. There’s no processing and they’re never physically or chemically dried. Thank, Ginger! Yes, dates are a wonderful thing:) Nature’s candy. Lisa, that’s awesome! I’m so glad you enjoyed it. Holly, that’s great! So pumped you all enjoyed it. Thanks for letting me know. So good, and so easy! Thank you, thank you! You’re welcome, Jen! Glad you enjoyed it. One of our faves as well.